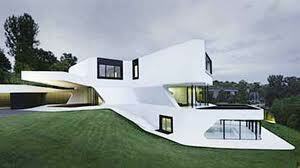 What will a home be like in 2100? I came across an interesting article about what homes will be like in 2100. For those of us that can remember, it seems like yesterday we were using a rotary phone. Here we are 30+ years later and now have smart phones, IPADs and the list goes on. Ever wonder what is next? Here are some predictions that I found worth posting. The walls of one's home will be intelligent, and capable of simulating a shopping experience in three dimensions. Most homes will be modular and customs will be built with pre-manufactured parts. Each home will have its own water reclamation/recycling plant. Clients will take life-like virtual walk-through of their homes before they are constructed or purchased. Energy will be generated by sunlight hitting a home's windows. Toilets will have DNA scanners that can detect proteins and fragments of cancer cells before tumors develop. Every home will be net-zero. I believe most on the list will come true. It seems like everything is moving too fast. Maybe it is time we go backwards. Life was simpler and something to be said about the "good ole days".